CHICAGO, IL--(Marketwire - January 29, 2010) - MorrisAnderson is pleased to announce that Steven F. Agran, from MorrisAnderson's New York office, has been promoted to Managing Director. Dan Dooley, Principal and COO of MorrisAnderson, states, "Steve joined the firm a little less than two years ago, and during that time he has proved himself as an excellent consultant and a developing new business generator. Steve's depth of industry experience in trucking, consumer products and retail has been integral to the success of several major projects." Adds Dooley, "We are very proud of Steve and, as a Managing Director in our New York office, he will be an essential element in helping us expand our business in the tri-state region." Agran has spent over a decade providing turnaround and interim management services in a broad range of industries. His experience includes bankruptcy, liquidation and asset sales, and budgeting and cash flow for distressed or failing companies. Recent successful projects include serving as interim CEO and CFO of an $80 million artificial flower design, sales and distribution company; and overseeing the planning, bankruptcy and wind down of Jevic Transportation, Inc. Previous projects include serving as interim CFO for a $250 million beef slaughter and processing company; providing management consulting and merger integration services for a $300 million health care organization; and implementing the safety program, equipment procurement and tracking and monitoring systems for a $250 million trucking company emerging from bankruptcy. 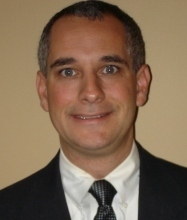 Before joining MorrisAnderson, Agran was a senior workout consultant with Addition Management and Glass & Associates. Previously, Agran was the Chief Operating Officer of PickQuick, a division of Central Lewmar Paper Co., and President and co-founder of Retail Enterprises, Inc.
A former Price Waterhouse consulting/tax/audit employee, Agran holds a bachelor's degree in business administration from the University of Michigan and a master's degree in business administration from Fuqua School of Business, Duke University. Now celebrating its 30th anniversary, Chicago-based MorrisAnderson has offices in New York, Atlanta, Milwaukee, Los Angeles, Cleveland, St. Louis and most recently, Charlotte, N.C. The firm's service offerings include performance improvement, financial advisory, interim management, turnarounds, workouts, litigation support, valuation, information technology services, and insolvency services and wind-downs. MorrisAnderson emphasizes hands-on involvement for companies with $20 million to $250 million in annual sales.